British classic in low carb version. Lovely, moist cake full of amazing flavours. Orange zest and all the spices make this cake very aromatic. Soy flour and ground almond work very well in this recipe, giving extra moist and nutty flavour. 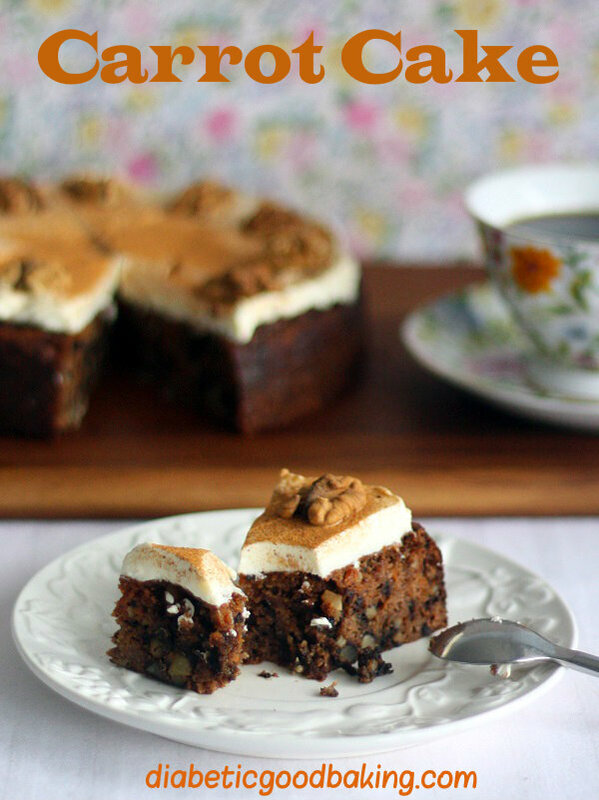 In my opinion, the cake is even better than traditional carrot cake made with flour. 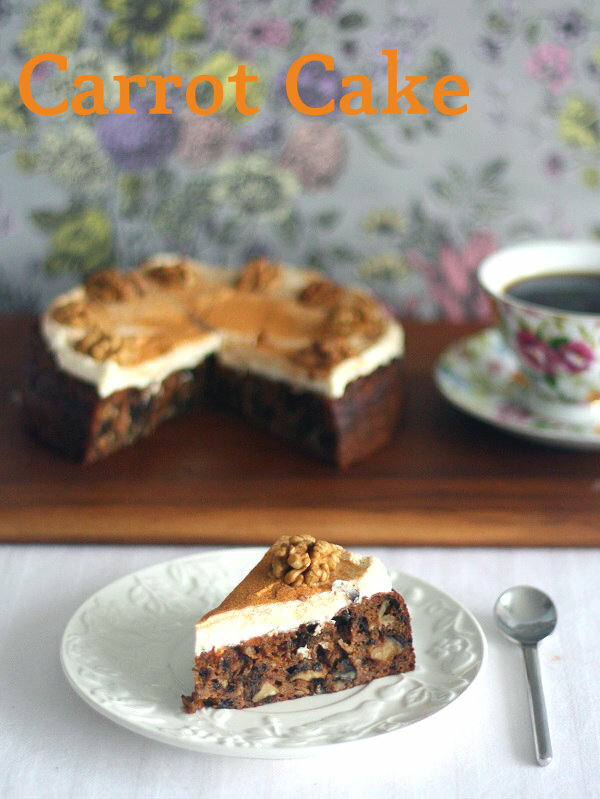 I can honestly say it's one of the best cakes on my blog! · Preheat oven to 170C and line, 20cm diameter round baking tray, with baking paper. · In a large bowl mix all dry ingredients: ground almond, soy flour, xylitol, salt, powder, baking soda, spices. · In the other bowl combine eggs and oil. Combine the content of both bowls and add carrots, apple and chopped walnuts. Transfer to baking tray and bake for about 40 – 45 min (Check with a skewer if the cake is baked (the skewer should come out clean). · Using electric mixer or blender combine all the ingredients for a nice, smooth cream. · Spread on top of the cake. Decorate with walnuts and cinnamon. Hi, I'm really pleased to come across a British low carb baking site - aagh those darn American cup measures! I don't use soy products on a matter of principle. Any ideas for substitution? I've learned enough to know that the cake would need extra liquid if I used coconut flour, or I see that Wheat Belly recipes use gram (chick pea) flour, but I haven't tried it yet so don't know whether it has a strong taste or not. Hi Maggie. I think in most recipes you can use ground almond only. Im not sure about chick pea flour as Ive never tried it but I believe it should work ok. It should be similar to soy flour. Im not a big fan of coconut flour as I didn't manage to bake anything decent with it and just gave up. Almond is the best and if you don't use soy flour just go for almond. Substitute for rapeseed oil? How much stevia would replace the sweetener in your recipe? Would it be possible to use stevia instead of xylitol? Yum! Have just made this cake and am now trying not to eat the whole lot in one go. My new favourite cake, thanks Ewelina!